The Lampades are the nymphs of the Underworld in Greek Mythology. 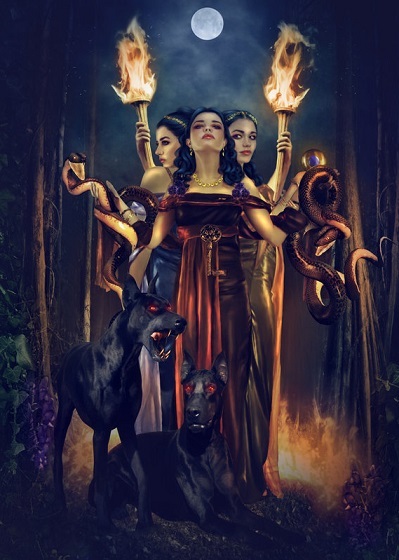 Companions of Hecate, the Greek titan goddess of Witchcraft and crossroads, they were a gift from Zeus for Hecate's loyalty in the Titanomachy. They bear torches and accompany Hecate on her night-time travels and hauntings. Some accounts tell of how the light of the Lampades' torches has the power to drive one to madness. Most known is Gorgyra (Orphne), a Lampad nymph of Hades and a mother of Ascalaphus.